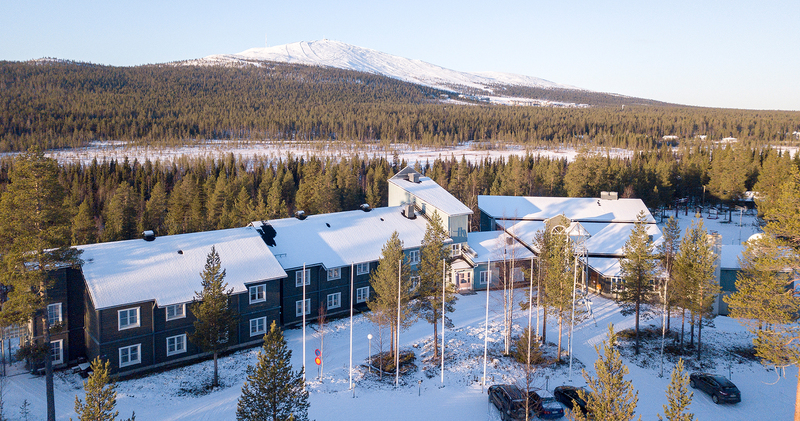 Located in Ylläsjärvi village on the very edge of the Arctic forest with views across the fells, Ylläsrinne Hotel is a peaceful hotel decorate in Finnish and Lappish style which is about to undergo renovation in Summer 2018. Ylläsjärvi is a small, sleepy village with a population of approximately 250 persons surrounded by well maintained cross-country ski tracks and an extensive, modern downhill ski centre. Not far from the Pallas-Yllästunturi National Park the village is in an area of outstanding natural beauty, amongst forests and fells and boasts some of the cleanest air in Europe. Sleeping 2 persons the standard rooms have 2 twin beds, bathroom, seating area, tea and coffee making facilities. Standard rooms are 20m2. Sleeping up to 4 persons the family rooms have 2 twin beds and an attic bedroom with further 2 beds, bathroom, seating area, tea and coffee making facilities. 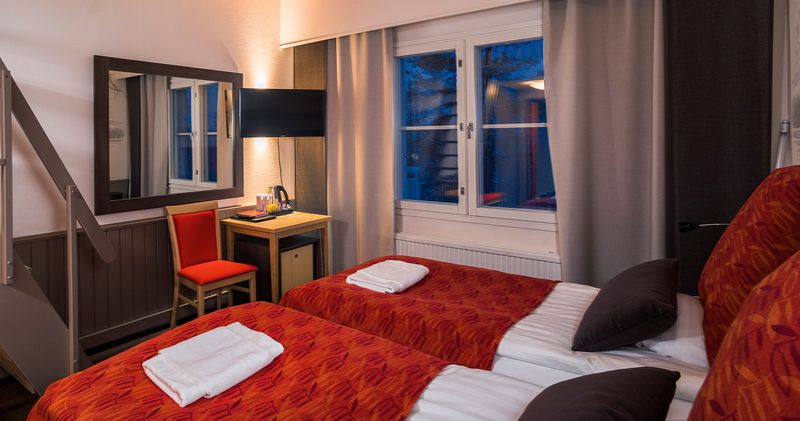 Standard rooms are 35 m². For December we have 2 and 3 night itineraries. 23rd – 27th December is sold out. Visiting the same husky farm as on your arrival you can double the length of the safari with the 10km trail with your own team of dogs. After the visit you have another chance to warm up in the Lappish tepee and ask any more questions that you may have about the dogs. 1500 tons of snow and 300 tons of ice are used every year to create the unique Lainio Snow Village. Artists from around the world spend many hours crafting the ice blocks into fantastic sculptures. Located only 18km away from Ylläsjärvi the Snow Village is about 20 minutes from the cabins by bus. Enjoy a guided tour around the hotel, ice restaurant and bar. 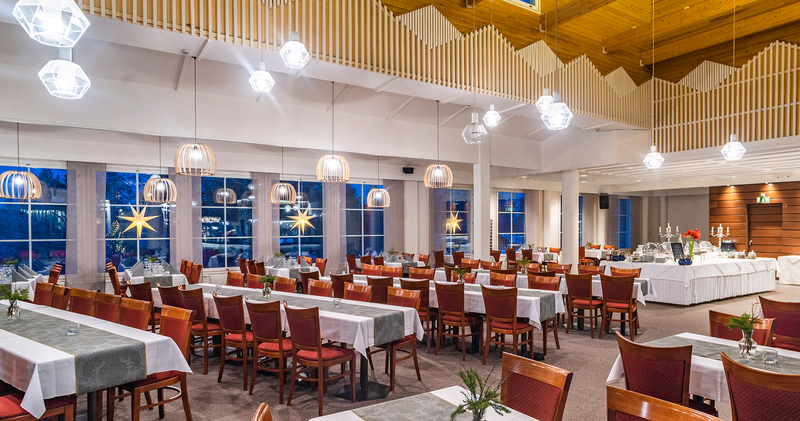 Before heading back to Ylläsjärvi, enjoy a hot drink and a bun in the Lainio inn. 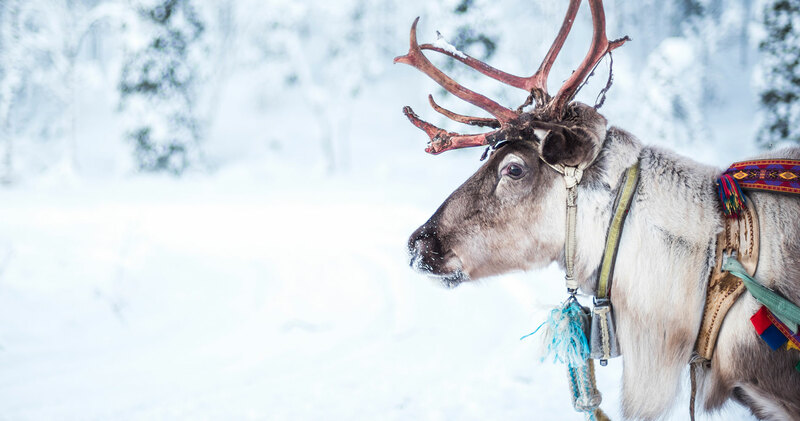 A traditional reindeer ride through the old, snow-covered forest with the reindeer herder is an unforgettable experience. After the 4km safari warm up in the Lappish tepee with warm drinks and ask the herder about the life of the reindeer. Start this safari with a bus trip to the must-see (and must photograph) locations in the area including the forest, National Park hills, frozen lakes and impressive rock formations. Once you arrive at the magnificent Kensänkijärvi Lake try your luck at ice-fishing – the lake is known for its trout and whitefish. On the way back to Ylläsjärvi stop at Äkäslompolo village for souvenir shopping. The village also has a well stocked supermarket and Alko shop. This snowmobile safari is perfect for both beginners and experiences drivers. The safari takes you across frozen lakes and swamps and through the forest – if the weather is agreeable the safari will even go to the top of the fells. The cross country skiing school is suitable for all ages and skill levels (even if you have never skied before) as long as you are old enough to walk. The Finns have a saying “if you can walk you can ski” and it is not uncommon to see small children skiing to school. Availability of optionals is subject to weather conditions. Activities can be booked once in Lapland. Full cancellation charge 24 hours prior to activity. infant price is from £450 depending on date of departure. Infant price applies to infants between 0-23 months at the time of travel. Please note that infants do not count towards number of persons sharing.